Philo is a powerful content-management system built with Django. It manages web sites, simple and complex. Philo is designed by and for web developers. Web developers who don't like compromise. 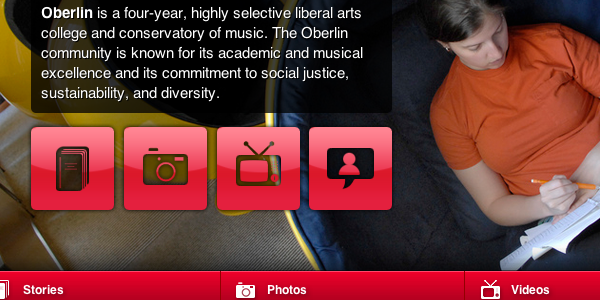 Initially developed for Oberlin College, Philo meets changing and complex needs gracefully. To learn more, read the documentation. 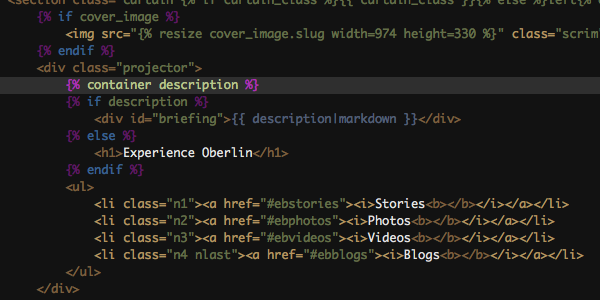 Put container tags in your template. Edit the contentlets on the page. See the results on your site! Philo provides core web features—such as page editing, seen above—and a foundation for building complex web sites and applications. Penfield Blog and newsletter management. Sobol Custom web and database searches. 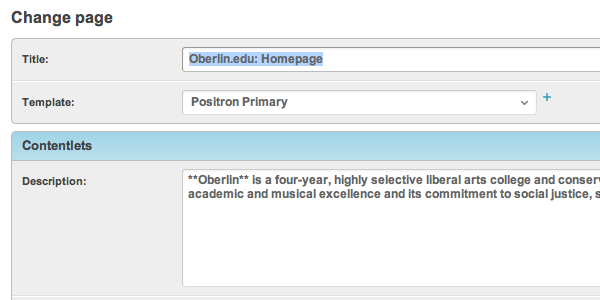 (in development) Gilbert Alternative admin built on Ext JS. (in development) Julian Calendar and events system. (in development) Edmonia Asset management. (in development) Bartleby Form generation and handling. Philo is still under heavy development. If you’re a Python/Django developer, help out by learning more and contributing. Philo is developed by iThink Software. Read the license. Read the documentation.